UNION EARN A POINT ON THE ROAD WITH 1-1 DRAW AT KC! 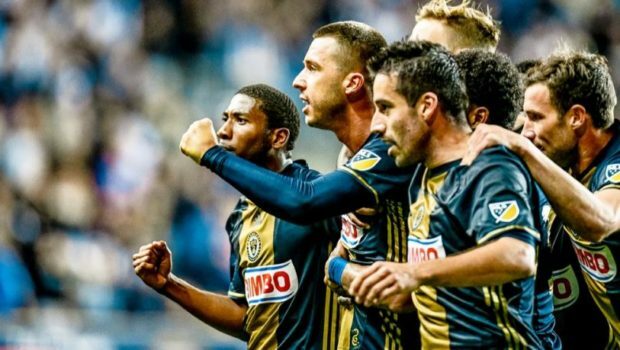 The Union earned a point with a 1-1 draw at Sporting Kansas City last night. Philly started the match relying heavily on starting goalkeeper John McCarthy to keep Sporting’s offense in check. The Northeast Philly native started in place of Andre Blake, who is away with Jamaica for the 2017 Gold Cup. McCarthy came up big with multiple diving saves that kept Sporting KC off the board. The former North Catholic and LaSalle University keeper, making his first MLS start of the 2017 season, was well prepared and the match remained scoreless after the first 45 minutes. Sporting KC got on the board first in the 49th minute after Diego Rubio was able to send a superb shot from just outside the box that found the corner of the net to give SKC the 1-0 lead. The Union struck back 20 minutes later. CJ Sapong earned a penalty kick after Benny Fielhaber jumped on the back of the Union striker in the box leaving the referee no choice but to award Philly the penalty. Moments later Roland Alberg who came in as a sub for Ilsinho stepped up to the penalty spot and smoothly converted his fourth goal of the season to even the match at one apiece. 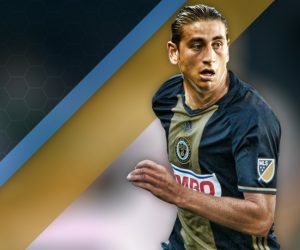 After fireworks from both sides and several attempts by SKC, McCarthy and the Union stood tall and earned a massive road point in the 1-1 draw. 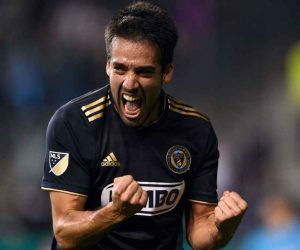 The Union will enter the Gold Cup break just five points out of a playoff spot, with two matches in hand on sixth seed Columbus. 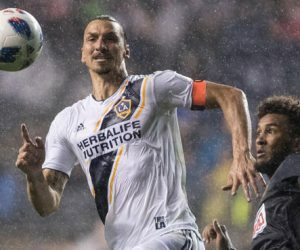 They will return to MLS action on July 19th when they travel to Canada to take on Montreal Impact. Previous JOJO IN THE GYM! WATCH SIXERS’ EMBIID POLISH HIS MOVES! Next WATCH UNION’S ALBERG EVEN THE MATCH WITH KC!